New staff were welcomed to JA and participated in orientation in the Learning Commons the week before school opened. 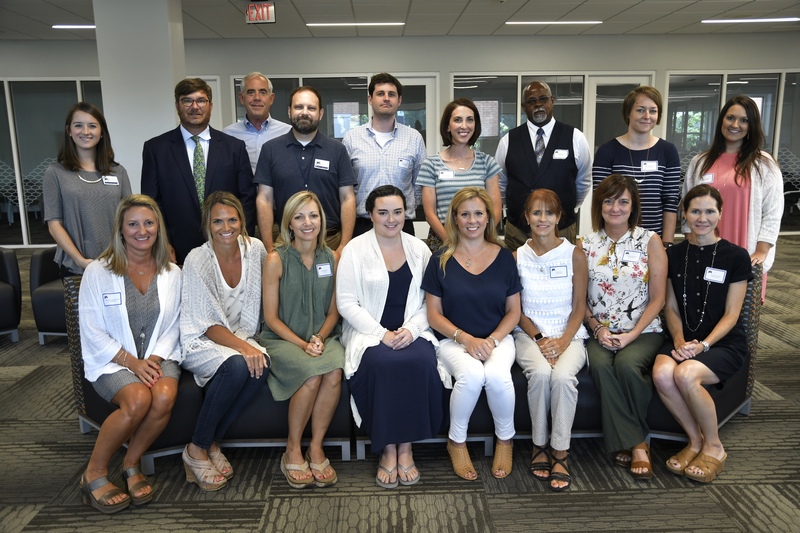 New full-time faculty include Jackye Barbour, PK full day assistant; Sara Bannerman, US English; Jonathan Blackwell, graphic artist; Amanda Cross, K3 half-day teacher; Ali Dinkins, Preschool librarian; Rachel Eason, interactive media coordinator; Ashlee Flechas, K3 half-day teacher; Jennifer Funderburg, K full-day assistant; Megan Logan, MS eighth grade English; Evan McCarley, ARC facilitator, debate coach; Vickie Neal, LS fourth grade teacher; Lance Pogue, varsity football defensive coordinator; Kerri Sanders US theatre; Chevis Taylor, ARC facilitator; Jennifer Wahl, US geometry; Brandt Walker, associate athletic director, Richard West, US science; LaDonna Whitney, LS fourth grade teacher; and Krayleon Winston, JV boys basketball coach, varsity assistant. Staff members joining JA in part-time or contract roles include Annelle Anderson, assistant volleyball coach; Bryan Eubank, sports information director; Datti Jinkiri, part-time soccer coach; and Matthew McMullan, part-time basketball coach.